McCain Heavy-Duty Traffic Signal Assembly - J.O. 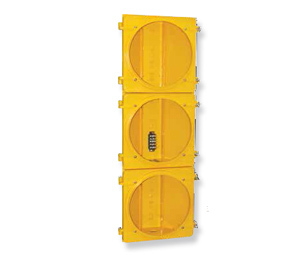 Herbert Co., Inc.
McCain’s 12-inch Heavy-Duty Traffic Signal Assembly provides a durable and low-maintenance housing, ideal for use in extreme or high-wind conditions. The housing assembly includes McCain’s standard polycarbonate traffic signal housing and a reinforcement kit with the necessary hardware to reinforce the signal housing, backplate, and visor. Housings are compatible with standard LED modules or McCain incandescent optical assemblies.